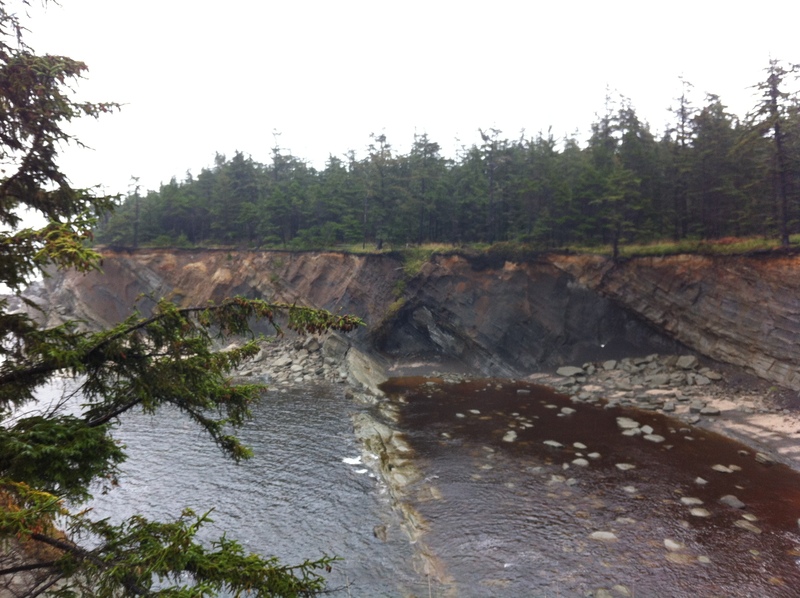 A Few Pictures From My Stratigraphy Trip To The Oregon Coast. I’m not going to mince any words: it’s been a busy term. Hence my month long hiatus on the blog. My term has been busy with stratigraphy and sedimentation, scanning electron microscopy, a course on the history of modern science, and my usual work in the meteorite lab. The greatest amount of my time has been dominated by stratigraphy. 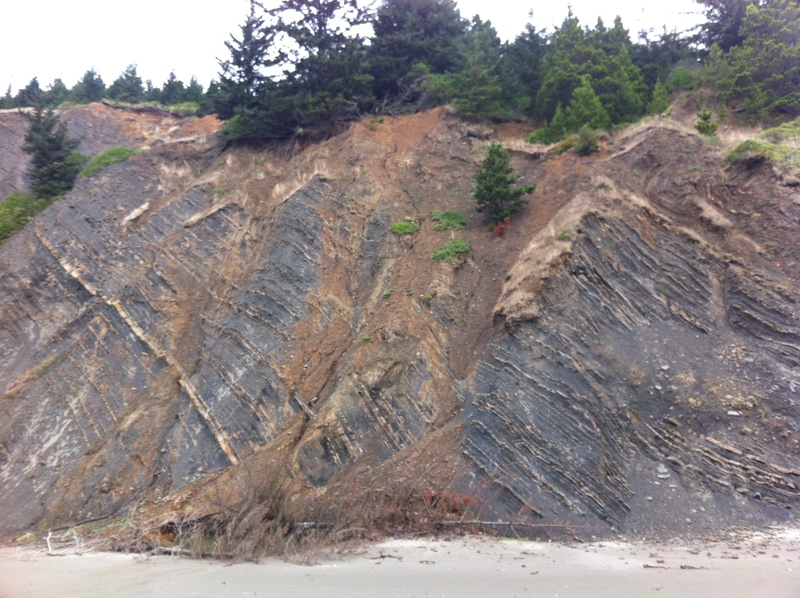 A couple weeks ago I spent four days on the the southwestern coast of Oregon studying uplifted marine terraces and more shale than I ever wanted to see. In all honesty, it was like the twilight zone of geology. At one stop, the rocks got progressively younger as we went from south to north along the beach. Drive north a few miles and the rocks actually got older as we went in the same direction. To further add panic to the confusion, our instructor would ask which way was upsection, or in which direction were the rocks getting younger, and if you got the answer wrong you did push-ups or sit-ups. Not wanting a repeat of junior high hell, I learned to become very comfortable with my compass and topo map. Staying out of my professors line of sight was effective, too. 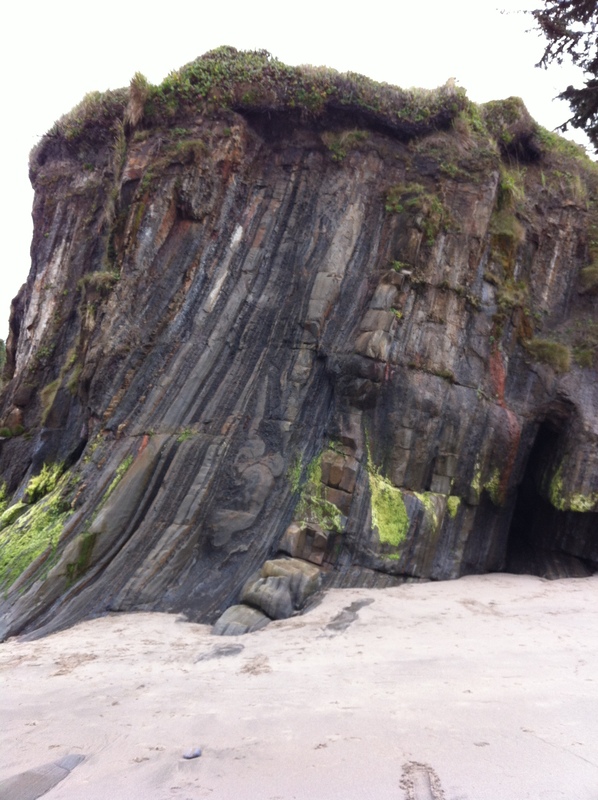 The Hunters Cove Formation at Gold Beach in Southern Oregon. This formation is composed of deep marine muds- meaning it’s more susceptible to folding than the sandstone formations on either side of it. 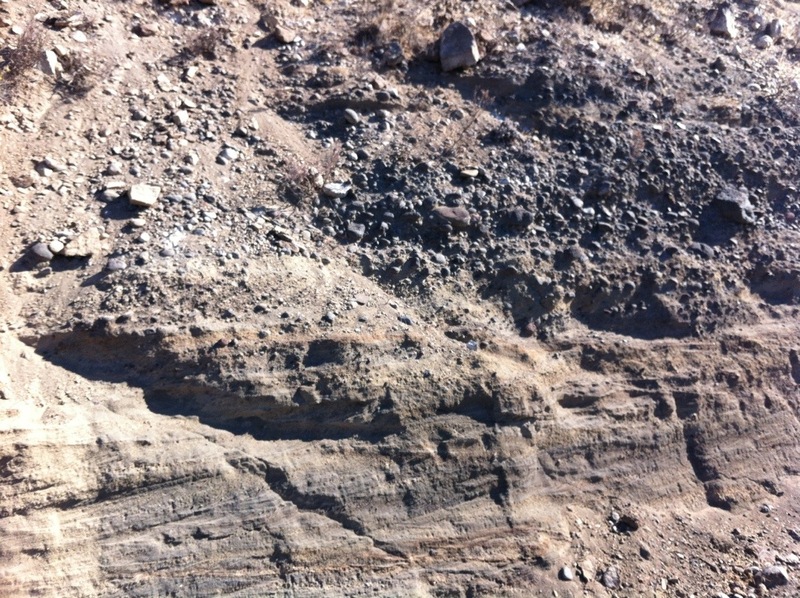 These layers of sandstone and mud used to be horizontal. Now they’re nearly 90 degrees. My favorite stop was Cape Arago. It was here that I finally understood what I was seeing. I spent most of the trip feeling lost, confused and cursing every layer of mud that I had to map. Cape Arago used to be an old submarine canyon. 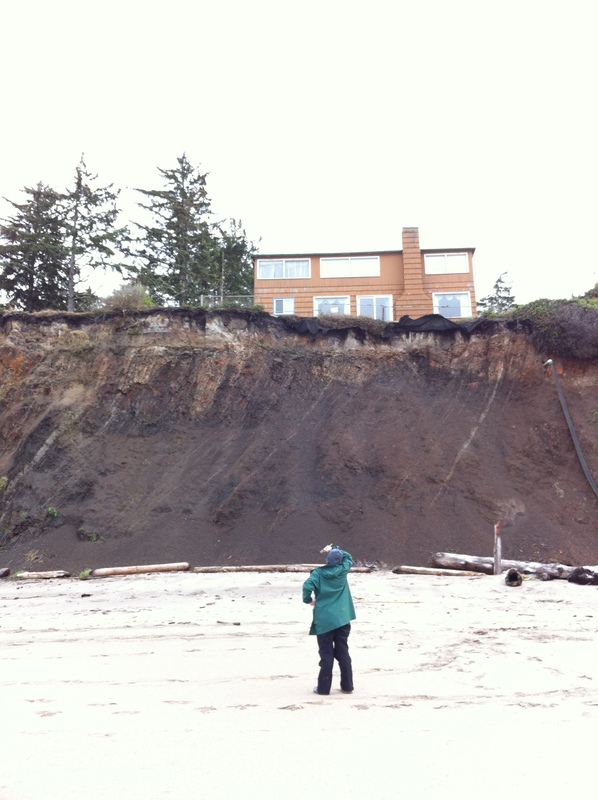 Then the ocean receded and slowly exposed the canyon and its cut and fill sequence from a probable paleodelta. And I saw a lot of seals. Double win. Cape Arago from the lookout. Tides came in and covered up much of our work area as we completed all our tasks. 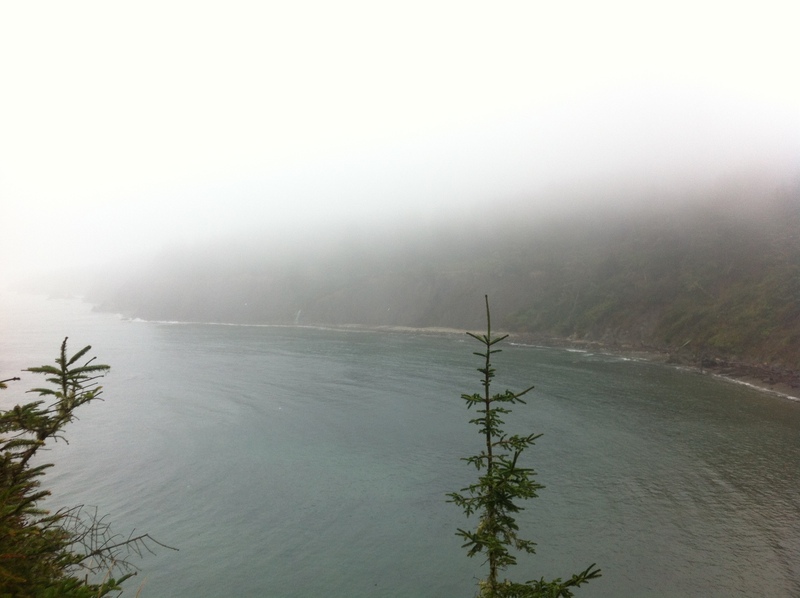 It was also at Cape Arago that I learned how quickly I can map an area. Nothing makes you work faster than hearing your instructor say you have three hours and the tides are coming in. Then there was Shore Acres. This was our last stop on the trip and it proved to be the most mind-boggling of all the sites we visited. And the weather turned to crap, too. Mother Nature decided to keep the wind and rain to herself until us lowly undergrad geology majors were exposed on the point. It was at this site that I learned even rite-in-the-rain notebooks have their limits. One of the lagoonal areas at Shore Acres. 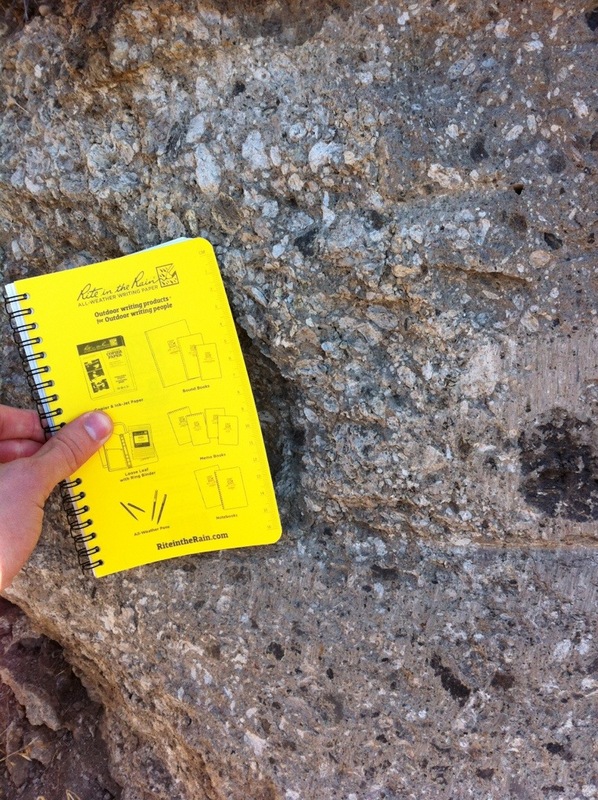 We were charged with mapping the formations here and interpreting the depositional setting. This out crop is where we spent most of our time taking measurements. 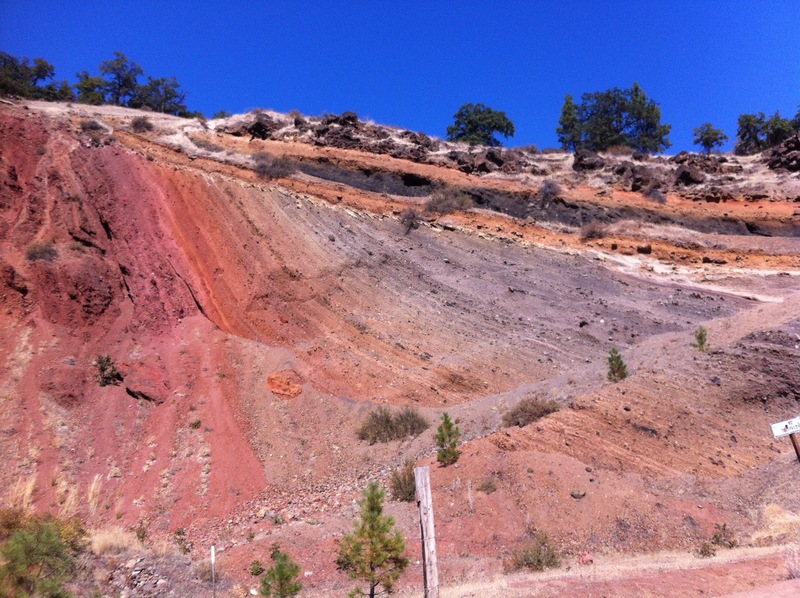 What you’re seeing is some severely tilted beds of volcanoclastic material. The dip is nearly 60 degrees at the top and becomes less angled as the bed continues dipping. The source of the tilting is probably some plutonic intrusion. 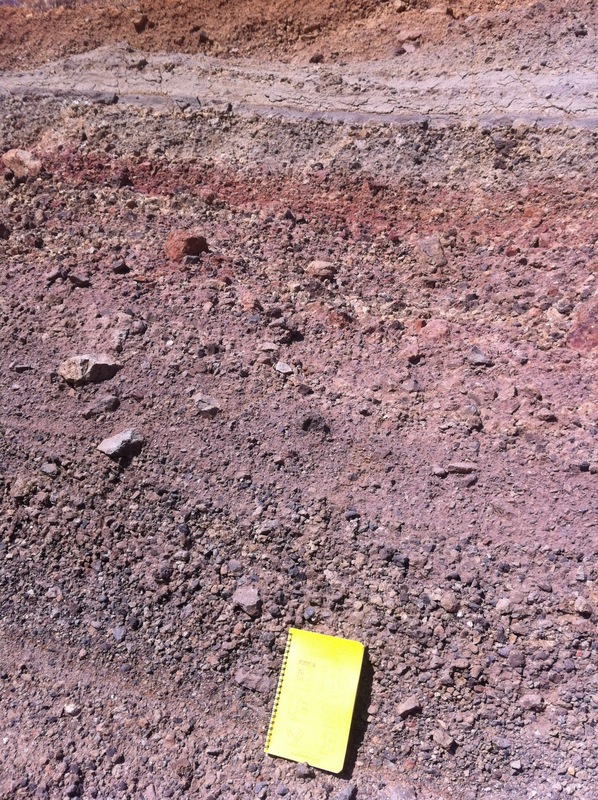 I’m inferring this based on the presence of a sill that sits just to the left of the first set of tilted bedding. 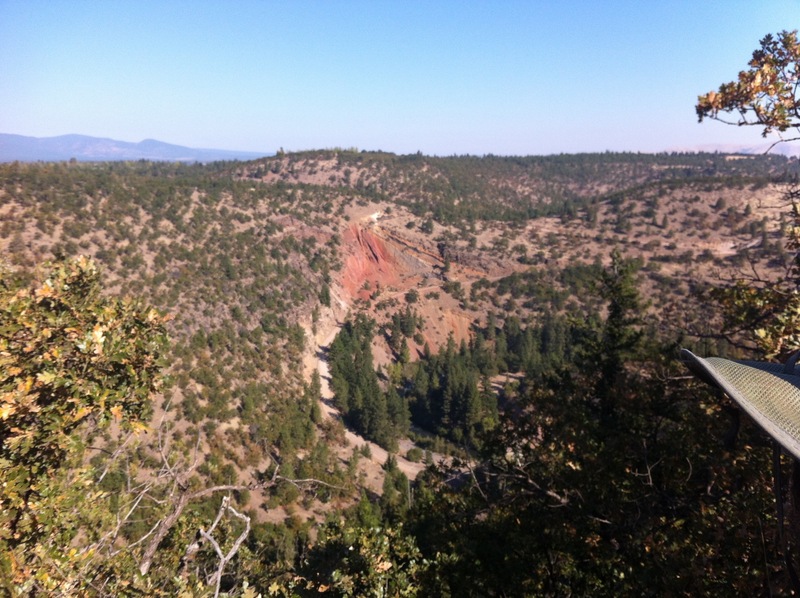 Here’s the view at the top of the basaltic rimmed plateau. 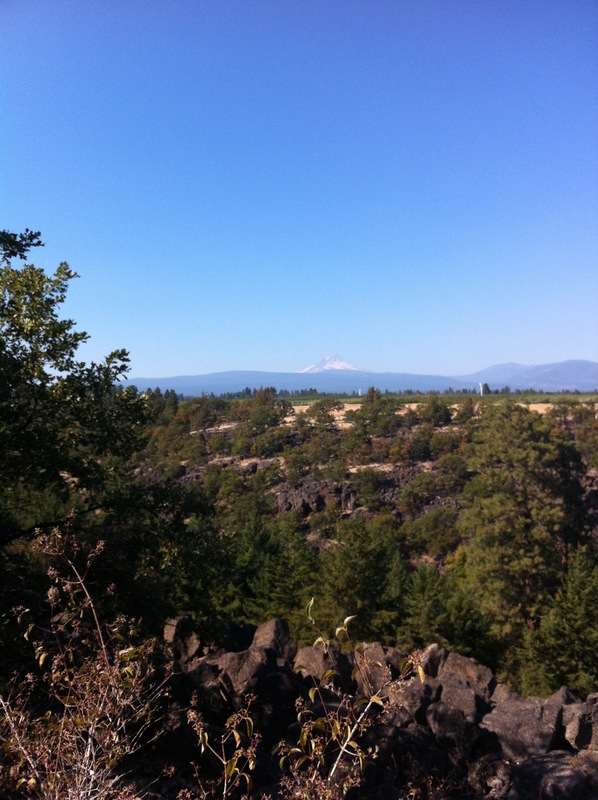 Not sure if my camera got it, but you can see Mt. Hood in the background. 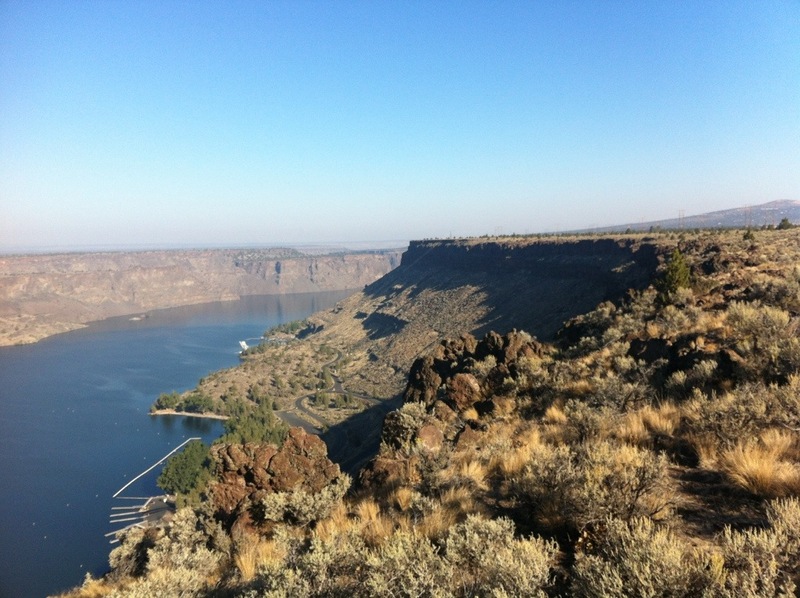 Day one of my strat trip found us mapping fluvial and volcanoclastic deposits in the Cove Palisades State Park. 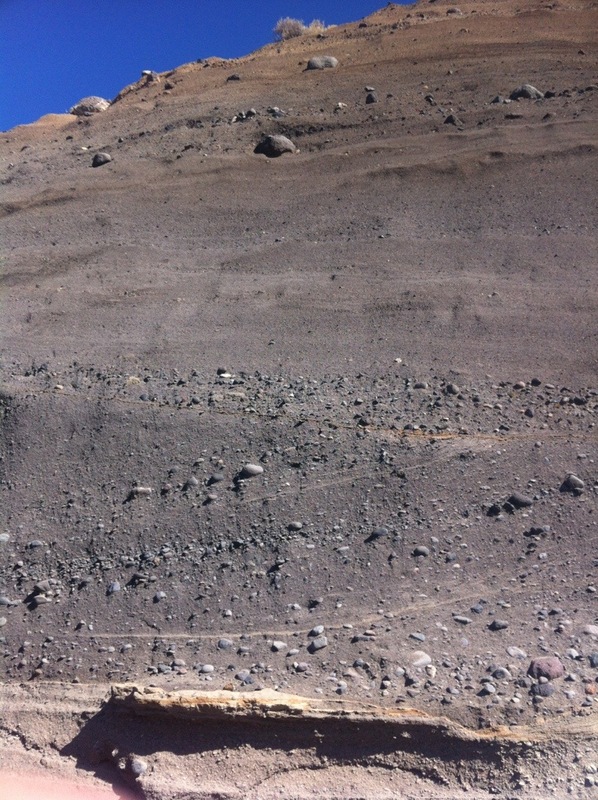 It was nearly four hours of hiking up the road, examining the road cut, and taking measurements. What did we find? 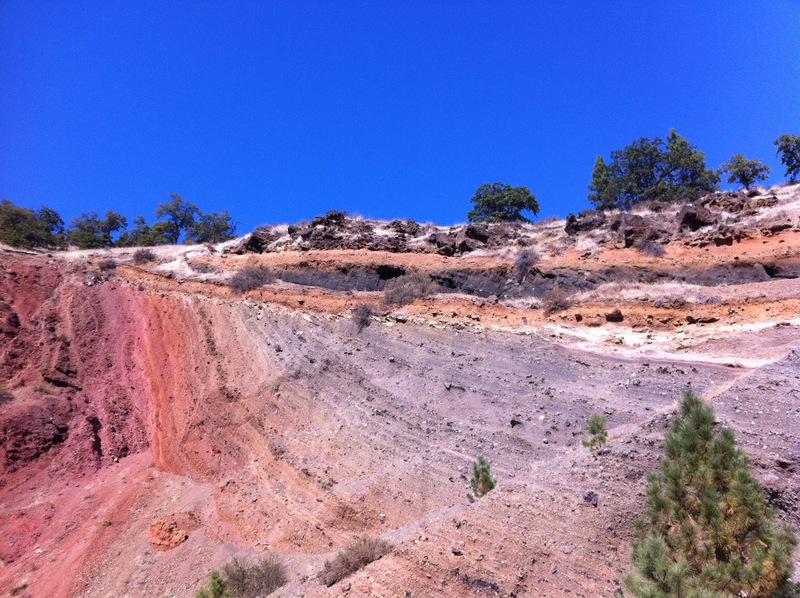 Lots of fluvial deposits such as rounded cobbles and sand stone towards the lake and volcanic teffra towards the top. Here’s a few pictures to show the sequence. I included scale where it was safe to do so. I can’t get into too much detail because I’m posting this from my phone. Layer of cross-bedded sandstone on the bottom with rounded cobble on the top. 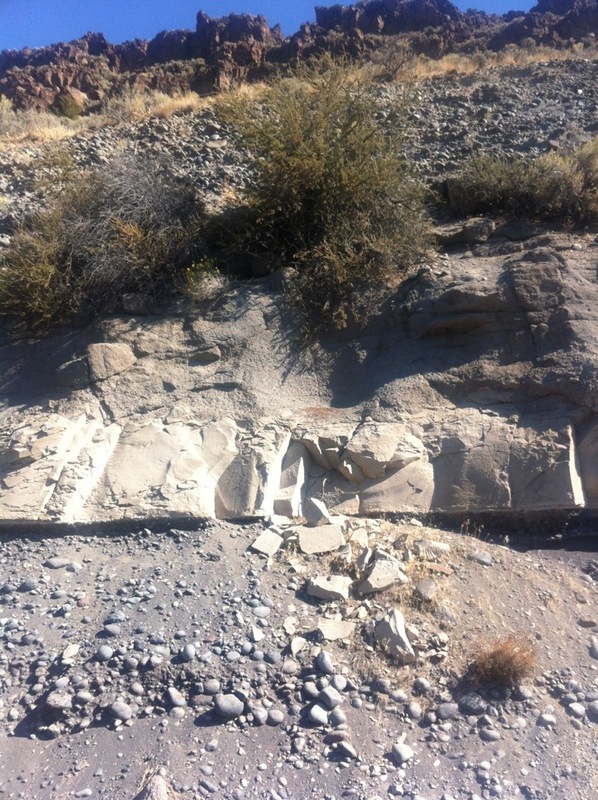 All indicative of fluvial deposition. The meeting of fire and water. 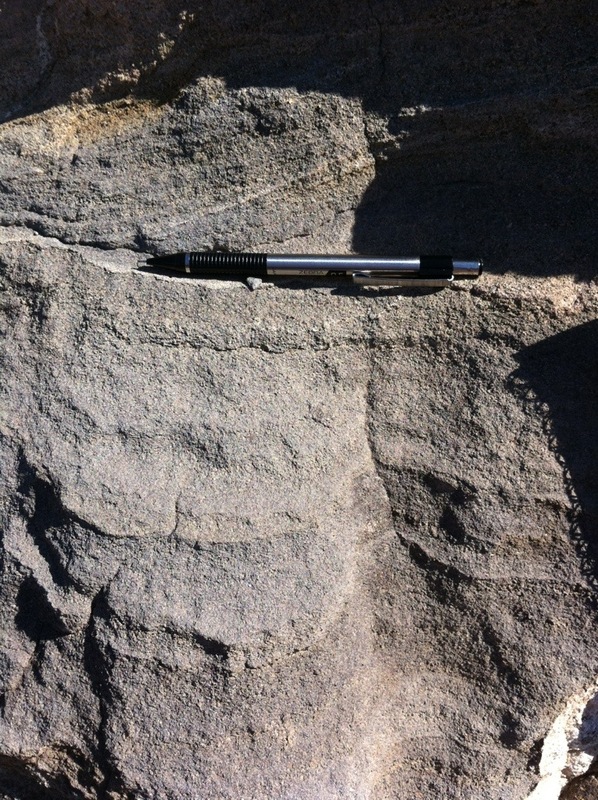 The rounded cobbles at the bottom were deposited in a fluvial environment. The thick layer in the middle is from an ash flow, while the layer directly above it is ash fall. The later directly above that is more rounded cobble. Another example of beautiful cross-bedded sandstone and gravel. 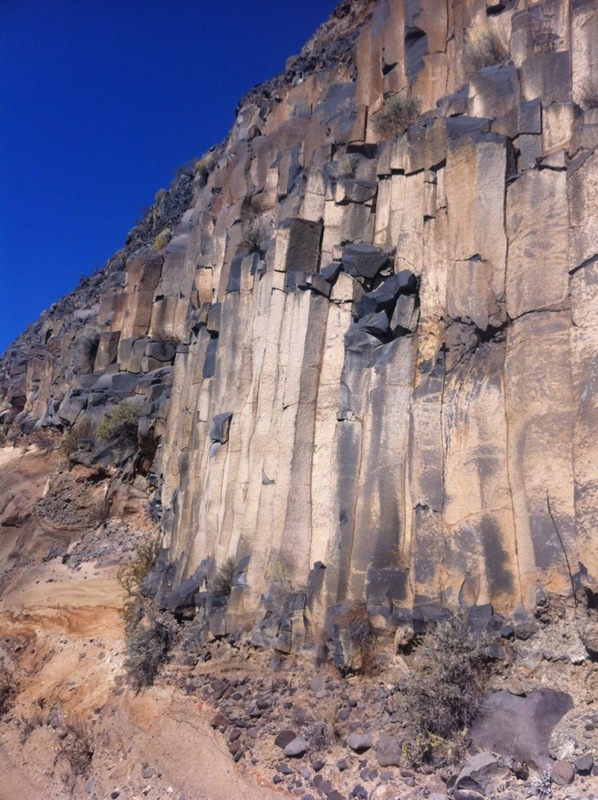 And to end it all, nice columnar basalts.